Beginning Jan. 17, NASA will fly an airborne science laboratory, including a unique airborne radar built by NASA's Jet Propulsion Laboratory, Pasadena, Calif., above Canadian snowstorms to tackle a difficult challenge facing the upcoming Global Precipitation Measurement (GPM) satellite mission -- measuring snowfall from space. GPM is an international satellite mission that will set a new standard for precipitation measurements from space, providing next-generation observations of worldwide rain and snow every three hours. It is also the first mission designed to detect falling snow from space. "Snow is notoriously hard to measure as it falls," said Walter Petersen, the GPM ground validation scientist at NASA's Wallops Flight Facility in Virginia. "Snowflakes contain varying amounts of air and water, and they flutter, wobble and drift as they leave the clouds." Knowing how "wet" a snowflake is allows scientists to measure overall water content. A wet, heavy snow can shut down a city, and melted snow is a crucial source of freshwater in many areas. Working with Environment Canada, NASA's GPM Cold-season Precipitation Experiment (GCPEx) will measure light rain and snow in Ontario from Jan. 17 to Feb. 29. 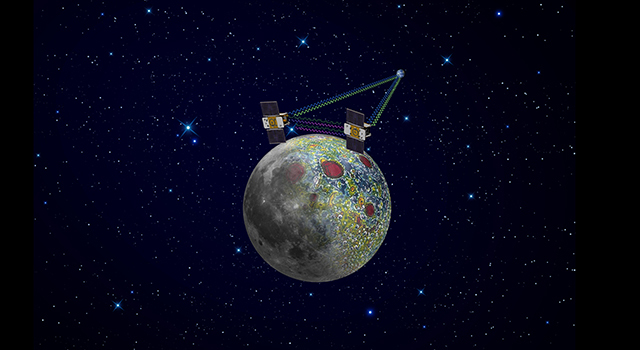 The field campaign is designed to improve satellite estimates of falling snow and test ground validation capabilities in advance of the planned launch of the GPM Core satellite in 2014. NASA's DC-8 airborne science laboratory will fly out of Bangor, Maine, carrying radar and a radiometer that will simulate the measurements to be taken from space by GPM. At an altitude of 33,000 feet (10 kilometers), the DC-8 will make multiple passes over an extensive ground network of snow gauges and sensors at Environment Canada's Center for Atmospheric Research Experiments north of Toronto. The GCPEx field experiment will help scientists match measurements of snow in the air and on the ground with the satellite's measurements. 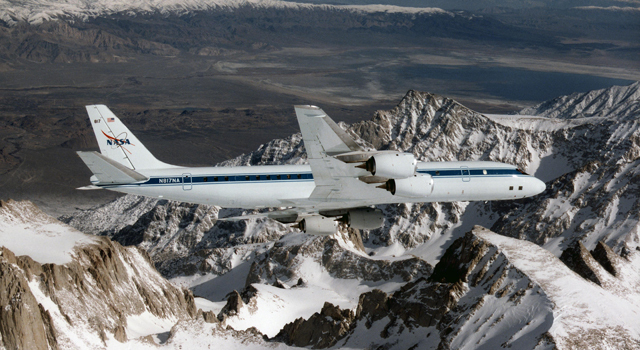 The radar on the NASA DC-8 is JPL's Airborne Precipitation Radar-2 (APR-2) dual-frequency radar. The radar looks downward and scans its antenna across-track, acquiring a three-dimensional image of precipitation underneath the aircraft. At each point in this 3-D image, APR-2 measures several characteristics of the precipitation, including its radar reflectivity, or "brightness," and its motion. 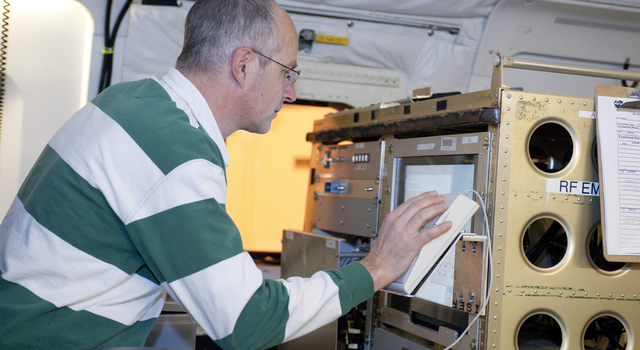 During GCPEx, APR-2 will simulate the type of measurements GPM will make. Its data will be used to improve understanding of snowfall microphysics and to develop and test algorithms for use with the GPM radar, which will operate on the same 13- and 35-gigahertz frequencies. For more information and images, visit: http://www.nasa.gov/centers/dryden/news/NewsReleases/2012/12-02.html . 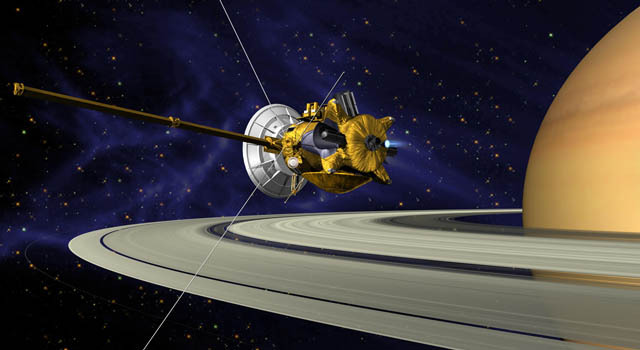 For more on APR-2, visit: http://trmm.jpl.nasa.gov/apr.html .